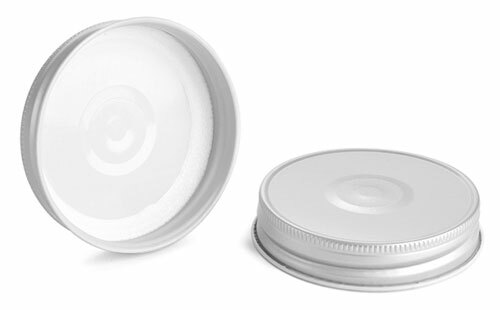 These silver metal plastisol lined caps with buttons are available in 70G (70/450), and can be purchased by the bag or in bulk quantities. The silver metal caps are typically used on glass containers. Certain heating methods will heat the plastisol liner causing it to solidify creating a seal between itself and the container. As always be sure to test all products with closures for proper compatibility.